Vitamin E is the more familiar name given to ‘tocopherol’, a fat soluble nutrient with very powerful antioxidant properties. Tocopherol is found in a variety of food but also available in supplementary form. Vitamin E helps boost our immune system which helps stave off sickness. It helps prevent blood from clotting by widening the body’s blood vessels and is especially well known for its beneficial effects on the hair and skin. It should not be difficult to achieve the recommended daily dose of vitamin E from dietary sources but estimates suggest that the Western diet falls short. As a result, vitamin E supplements are a popular option. 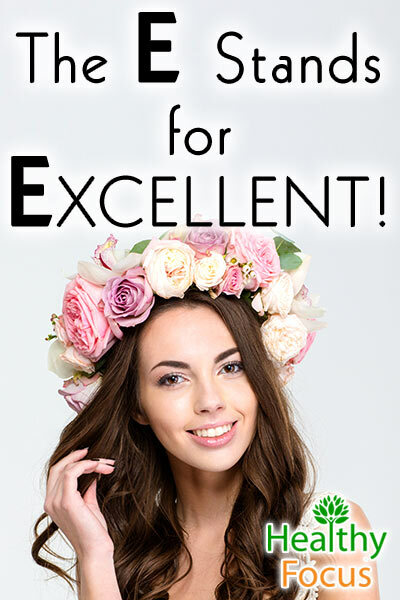 Because of its immense benefits and versatility on the hair and the skin, vitamin E is used as a major ingredient in a host of commercial cosmetic products from shaving cream to shampoo. Pure vitamin E oil is also readily available in either capsule or liquid form both of which can be applied topically. Vitamin E oil has a great reputation for its ability to treat numerous skin conditions ranging from moisturizing the hands to eliminating scars and wrinkles. Let’s take a closer look at some of these benefits and examine the reason why it is so successful. Vitamin E gets most of its health benefits because of its outstanding antioxidant properties. Antioxidants like vitamin E perform a vital function in our bodies in combatting the cellular damage done by harmful free radicals. This is not only vital in terms of disease prevention but extremely important when it comes to the skin’s health. You can use vitamin E oil to moisturize and rejuvenate your dehydrated skin. Vitamin E is oil soluble and heavier than other water soluble skin products. It can work wonders on dry or damaged skin by restoring lost moisture. Simply add a few drops of pure vitamin E oil to your regular moisturizing lotion or a carrier oil like olive oil or coconut oil and apply it to your body and hands each night before hitting your bed. You can also use vitamin E oil to cleanse the grime and dirt from your face without losing your skin’s oil balance. Vitamin E oil is an effective emollient and is a very gentle and effective way of getting rid of your skin’s impurities. To cleanse your face, all you need to do is add a couple of drops of your vitamin E oil to a cotton ball or pad and use it on your face each evening. I will admit that anything that can combat the signs of aging like wrinkles, blemishes and age spots is going to be a hit in this household. Because of its antioxidant nature, vitamin E oil can help fight these unwanted signs that your age is marching onwards by repairing the damage done by free radicals. It also helps boost collagen production which aids elasticity and prevents sagging skin and wrinkles. Apply vitamin e oil to your face each evening and eat plenty of food rich in vitamin E to keep your features looking younger for longer. The same antioxidant properties can help your skin recover from damage done by sunburn. Simply take some vitamin E oil either from the bottle or from the capsules and apply it gently to the affected areas of your skin which should help speed up your recovery and protect against further damage. If you have suffered a scar from a minor accident or as a result of acne then vitamin E oil can help diminish their appearance in the long term. The oil can penetrate the skin deeply and work on your scars from within. There is no quick fix for scarf tissue and any treatment will take a long time before you start to see the results. To treat your scars, apply the oil to the damaged skin and massage it gently for up to 10 minutes twice each day and let it sit on your skin for at least 30 minutes before rinsing off. You can use vitamin e oil to treat stubborn stretch marks by following the same methods used for scars mentioned above. Either use pure vitamin E oil alone or combine it with a carrier oil like coconut oil and apply it daily until you see visible results. If you have a painful and unsightly cold sore, vitamin E oil can help relieve the pain and moisturize the lips. Simply use the oil from a vitamin E capsule and apply it directly to your sore daily until it has disappeared. If you suffer from dried or chapped lips, vitamin E oil is an excellent lip moisturizer which makes them smooth and supple and can even add a touch of sheen. All you need to do is add a few drops of vitamin E oil to your at least once each day. As well as all of its cosmetic uses, vitamin e oil might also prove effective in treating certain inflammatory skin conditions like psoriasis and eczema. It helps relieve inflammation, itching and redness and has the antioxidant ability to heal damage to the skin. Applying vitamin E oil to the affected areas each day will help but try also to get plenty of vitamin E from dietary sources. So vitamin E is good for the skin, but that’s not all. People are becoming increasingly aware of its versatility and it is becoming a popular hair treatment. Let’s take a look at some of the ways you can use vitamin E oil on your hair. Many women suffer from split ends as a result of continual drying, coloring or curling so it’s great news that vitamin e can provide a natural and effective solution. To treat your split ends, combine vitamin E oil with an equal amount of virgin coconut oil and apply it to your split ends. Let it work for an hour or two before washing your hair as normal. Repeat this process at least 3 times a week and the difference should be noticeable fairly quickly. Vitamin E oil can help repair damage to your follicles and stimulate the growth of healthy, strong hair. Vitamin e oil improves the circulation to your scalp and works on the roost of your hair allowing healthier hair to grow. Combine your Vitamin e oil with an equal amount of coconut or olive oil and massage it well into your hair and scalp. Allow it to work for at least 30 minute then rinse it away with warm water. As much as I would like this to be true, I think it may be a little late for me. It sounds an unlikely claim but many people say that vitamin E oil can prevent your hair from graying prematurely because of its antioxidant ability. If you have noticed your hair graying, it is certainly worth giving vitamin E oil a chance and is definitely better for your hair’s health than dying it. Regularly using vitamin E oil to treat your hair will help it to be shinier, livelier and more lustrous. 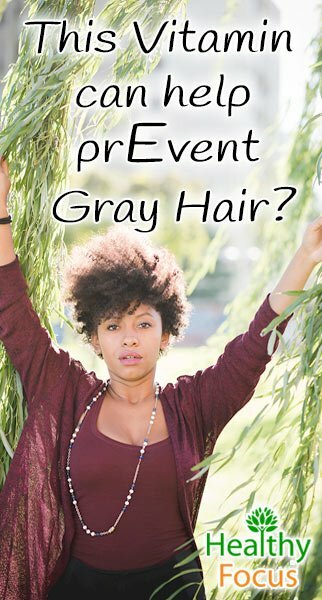 It keeps your hair softer and smoother and even helps moisturize your scalp. Combine a few capsules worth of vitamin E oil with the same amount of coconut oil and use it on your hair several times a week for more beautiful hair. • Boosts the immune system and protects against disease. • Protects against Alzheimer’s disease. • Helps keep your eyes healthy. It is always better to get your vitamins from dietary sources rather than supplements and the recommended daily dose for adults is at least 15 mg a day. Food which is rich in vitamin E includes spinach, chard, avocado, sunflower seeds and kale.